One of my favourite outfits combination is to wear white & grey, especially light grey! These two colours simply go perfectly with each other! For this outfit, I was wearing a very comfy light grey sweatshirt from Ephraim Yeboah. 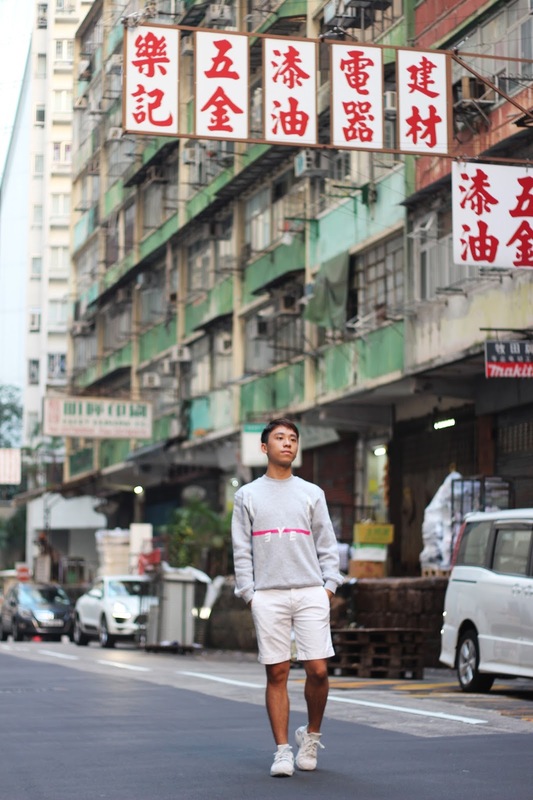 Since fall in Hong Kong is not that cold, we can only wear a sweatshirt when we go out. It can keep you warm for sure! Anyway Hong Kong will start getting colder a few days later. Can't wait for the colder weather so that I can wear jacket & coat to pull of a effortless look! Sorry for the shaky photos tho, mostly because I was shooting when the light went out. Do you like this look? Let me know about your thoughts on the comments section down below! Love that sweater! This outfit is so laidback and effortless! Great look! The sweater suits you well. I love the simplicity of the outfit. Everything is just perfect, Daniel. Great outfit!! Love the jumper! Love shades of gray too! amazing look!! Such a cute sweatshirt indeed! You look fabulous! Cool sweatshirt! Perfect for fall! I'm all about sweatshirt and this one is pretty cool! I love that sweatshirt with the pink stripe, so cool! Thanks for sharing, Daniel, and I hope you're having the best start to your week so far! Great look! I always forget about ZARA for men, I'll have to look there for my husband! Such a cool sweatshirt and I love the location. Nice outfit, I like your sweater! this color combo is so great! the pop of pink is really nice! Love that sweatshirt, you look great!